Here is the history. 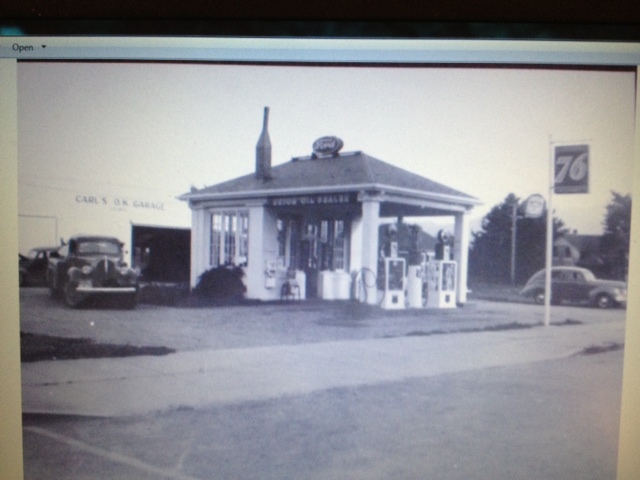 This is from our family UNION 76 station that was purchased in 1964. Buildings were still the same, and we remodeled them. I would assume probably on the firewall somewhere, or rivited to the dash on a "modern" or improved car... Probably somewhere the driver or passenger would see it. It's the body work that transformed it from touring to this Fordor. Here's a link to a thread of these from last year. Just found another related link here. 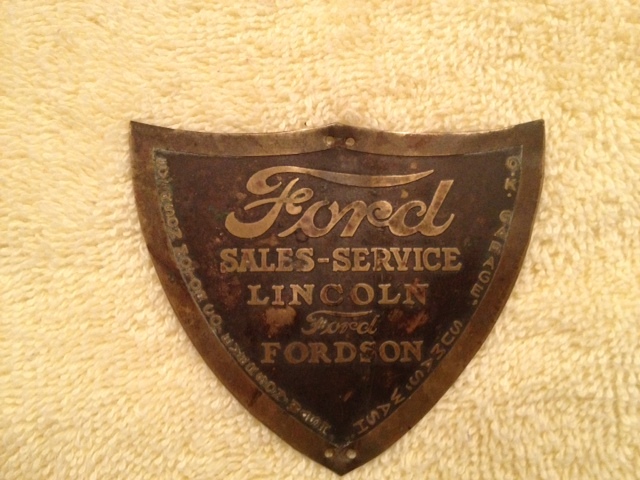 My 25 Touring had a dealer script plaque attached to the radiator. It was from Newark, Ohio as I recall. I'll have to see if I can find it again and post a picture. Slightly off-topic from the dash badges but it was a dealer tag. My Tudor has an original label on the dash. 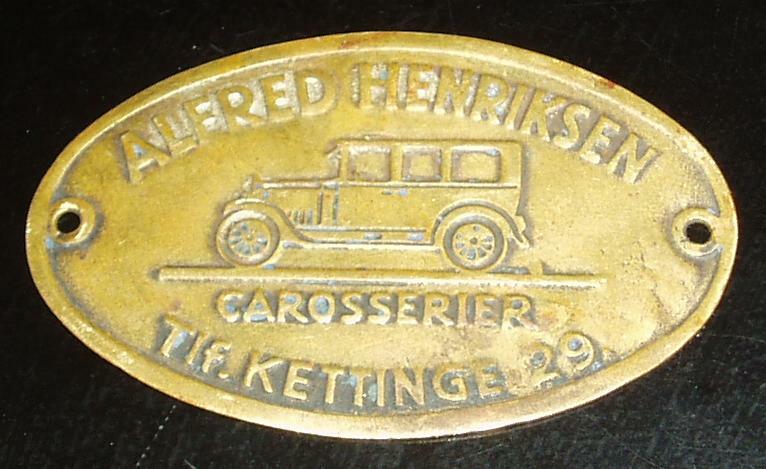 Not quite a Model T dash tag but an interesting tag from the era. 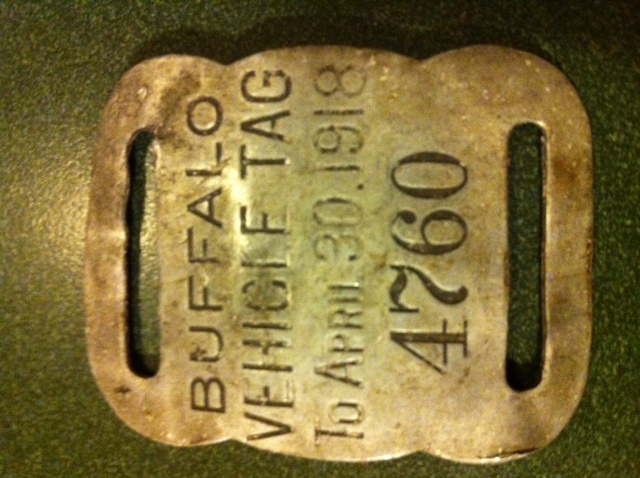 A registration tag from Buffalo NY 1918. 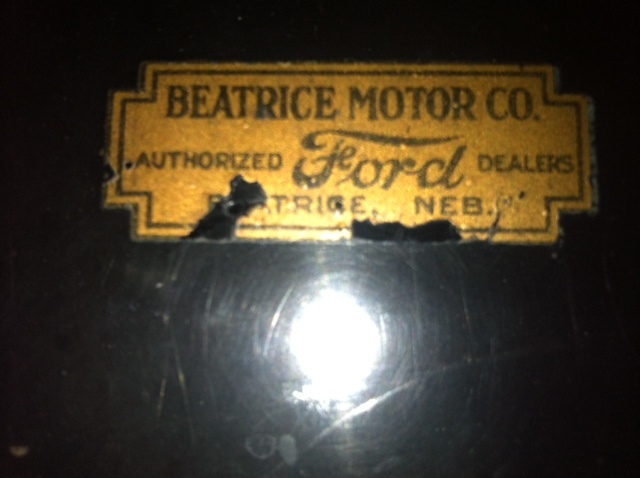 When I got my 21 coupe the dealer tag was nailed to the header over the windshield. I had a passenger's seat for a Centerdoor that had a dealer tag tacked to it. Has anyone experienced that?